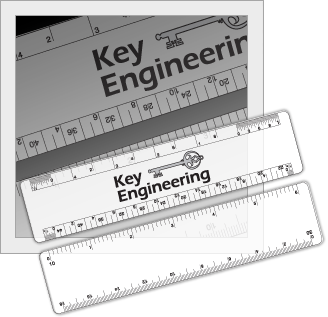 Any size ruler can be manufactured to your specifications in clear or opaque material with the scales you desire. The ruler shown is 6 inches long with a different scale along each edge and plenty of room for an imprint and logo. 6.5" x 1.5" x .030"